Showing the damage to historic brickwork done by tuck pointing with portland cement mortar. A little over a century ago, portland cement mortar began to supercede pure lime mortar until the latter has become widely unavailable, even for repairs. 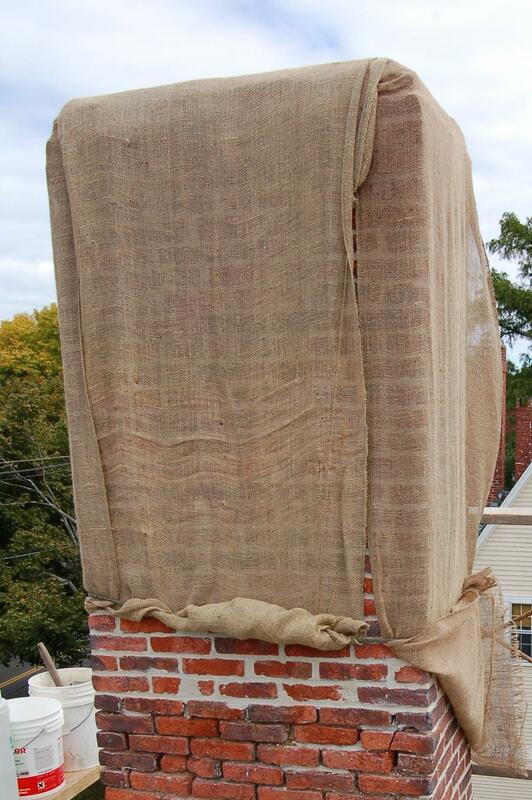 Florentine Renaissance Masonry of Salem, Massachusetts shows how previous attempts at restoration using portland cement damaged the historic brick, causing spalling, cracking, dislocation of brick and consequent leaking. Portland cement mortar seals the moisture into the wall, inside the brick, where it freezes. 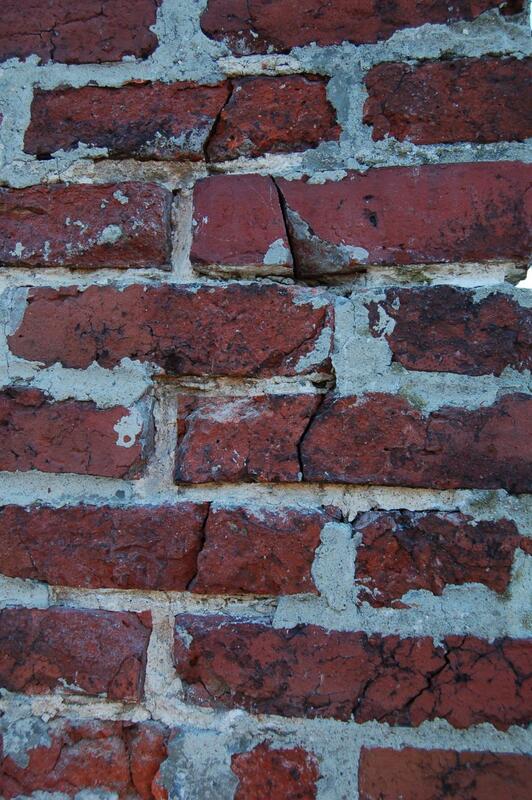 They outline the proper procedure and materials for repairing historic brickwork. They don’t say, but the brickwork shown is probably at least 200 years old, judging from its appearance and location, in old Salem (the Witch City). Brickwork of a similar age can easily be found that has never been repaired (though likely not at chimney crowns, with their exposure to stack acids and the elements). 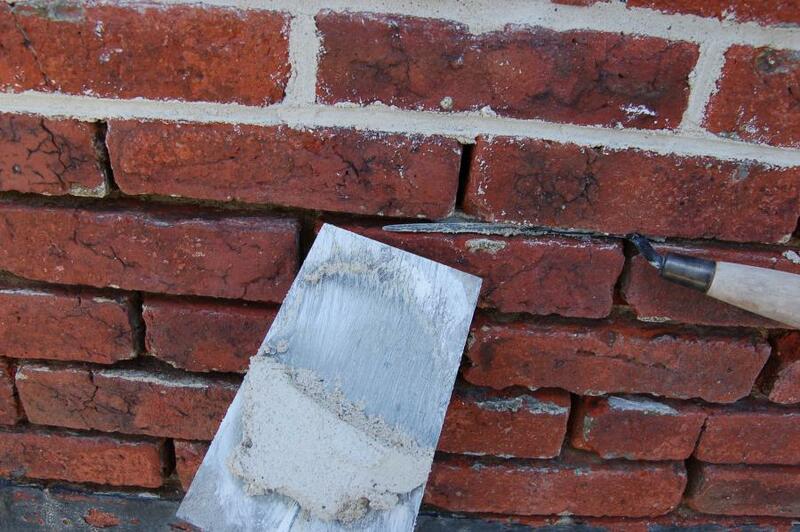 Lime mortar joints will wash (erode), over time, but will rarely crack. In a northern climate, new portland cement work begins to have issues after just a decade or two, for the reasons cited above, especially at chimneys and parapets. Tuck pointing brick joints using slicker. Several passes will be necessary to achieve the result seen in top of the photo, with time to cure in between. So why the nearly universal use of portland cement? Because it sets up quickly, allowing the masons to produce more work. They don’t have to stop work after 6 or 8 courses to allow the mortar to cure. This even affects production for tuck pointing. Note Florentine’s use of the term “lifts”, meaning a single application of mortar to the joint, limited in volume by the necessity of allowing the lime mortar to cure. The joints in this chimney were cut to one inch and deeper and would have required several passes to complete, allowing time to cure between each application. The result? A solution that will last a century rather than a decade. Burlap protects the mortar from drying out too quickly, for proper cure. This entry was posted in Masonry Restoration, Stonework and tagged Massachusetts. Bookmark the permalink.